As you likely already know, tequila is the fermented juice of the blue agave. After fermentation the liquor is distilled 2x (in some cases three, which leaves the tequila very plain, known in Mexico as “Neutral Spirits.”) For a Platinum Tequila, Silver Tequila, or Plata Tequila – all of which legally mean the same thing, the distinction most often being to signify quality – the story ends. Single barrel refers specifically to aged tequilas such as reposado, anejo and extra anejo tequila. Like tequila, “Single Barrel Whiskey” (sometimes called Single cask whiskey) is a term that describes a premium class of whiskey. However this is where the same words take on an entirely different meaning. Single Barrel Whiskey is labeled such because each bottle in the “Batch” comes from an individual aging barrel – that’s it. Instead of the whiskey being created, aged in new barrels, and then blended together to create a unified and consistent product, thus providing uniformity of color and taste, the whiskey is given “lot” or “batch” numbers, and in some cases the dates for the beginning and end of aging. The concept is that single barreling creates, or allows for, a unique flavor for each barrel. Single Barrel Tequila is entirely different in production, meaning and especially cost! It’s because of this “Double Meaning” that many unscrupulous tequila manufacturers now refer to their product as “Single Barrel” by the Whiskey meaning and not the proper tequila definition of single barrel. All aged tequila is aged in previously used American whiskey, Canadian whiskey, cognac or brandy barrels (excepting of course a few that utilize other barrel types like new or Bordeaux, mostly as marketing gimmicks). These barrels are expensive. We’re talking really expensive, and the price rises with the quality of the barrel itself. As ultra premium tequila manufacturers we’re always on the lookout for the best barrels, best defined as “Most Flavorful.” As a manufacturer in pursuit of very hard to achieve nuances in our tequila – such as vanilla, milk chocolate, dark chocolate, caramel, and touches of sweet whiskey – quality barrels are critical. Which is why most tequila companies – and you can read that as nearly all, even some of the “Sacred Cows” that claim they are single barrel – use their barrels up to nine times! Single barrel tequila is properly defined as having used the barrel once – as in one time, or a single use. 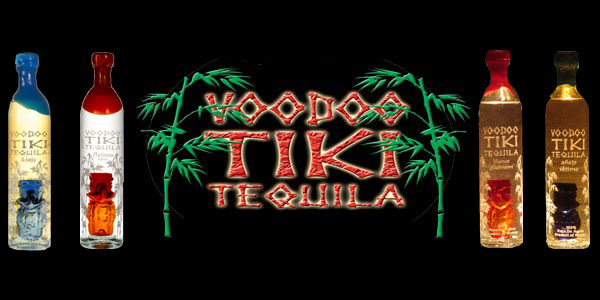 At Voodoo Tiki our anejo tequila and reposado tequila is most commonly placed in a newly arrived American whiskey barrel. After the aging process for that single batch of tequila, that barrel is never used again in the production of Voodoo Tiki Tequila. Like Extra Virgin Olive Oil, or first pressing of grapes the richest flavors are going to come from the first use of that whiskey seasoned barrel. We’re looking for barrels that have released their heavy wood essences into the whiskey, and absorbed some of the nuances and sweetness of the whiskey. Obviously it’s our first usage that will release the lion share of those flavors. Using that barrel a second time would result in a reduced contribution of flavors – something that doesn’t work when you’re going for that difficult flavor profile without the use of essences and additives – another dirty tequila secret in use at many very high profile tequila manufacturers. In the production of most aged tequila, many whom call themselves premium, super premium or even ultra premium, barrels are reused 7-9 times. After a first time use teh barrels are emptied and “Charred” to produce smokey flavor and try to extract more sugars from the wood. Is this bad tequila? No, as a lover of many styles of tequila flavors like smoke, char and pepper can be quite nice. However, it’s nothing like the profile of a true single barrel. Without the use of flavor additives that 7-9 times use barrel will never produce the rare gems of rich nuances found in a true single barrel tequila. So beware, is the single barrel on your shelf a true single barrel, or are they using a traditional whiskey definition to trick you into buying a lot numbered “Single Barrel” tequila made in a barrel used nine times? 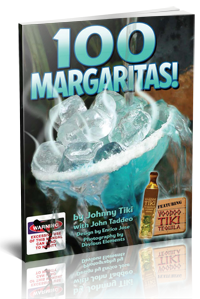 How can you know with 100% assurance that your tequila is true 100% blue agave single barrel tequila? 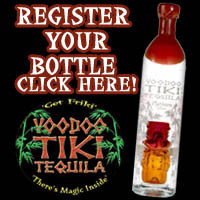 Simply drink Voodoo Tiki Tequila.